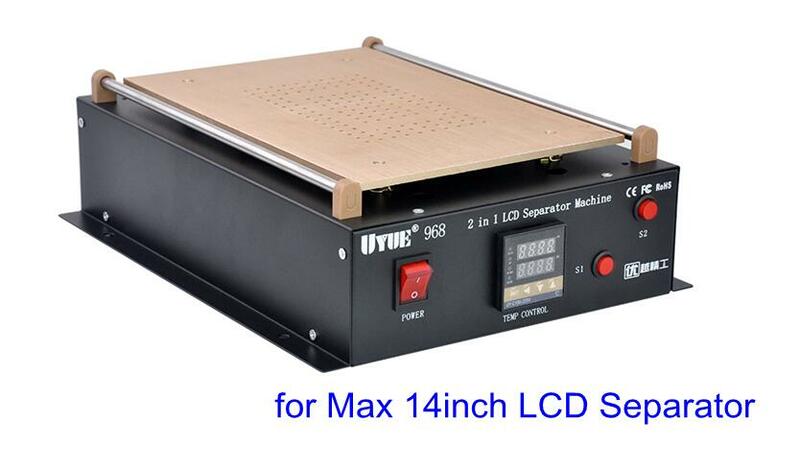 UYUE 968 is an 14inch Build-in Dual Vacuum Pump LCD Separator Split Screen Repair Machine for phone pc fixing. 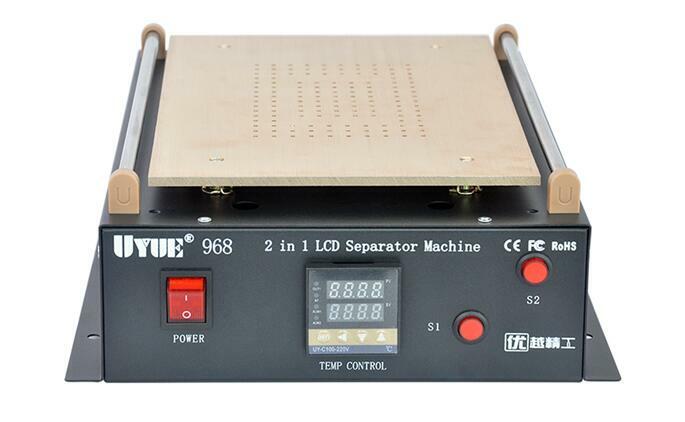 UYUE 968Q Compatible for LCD or LED screen assembly. UYUE 968 968Q Easy installation. Step 1: Put rubber mat on heating plate. Step 2: Turn vacuum button (s1/ s2) on, put LCD screen on rubber mat and fix tightly. 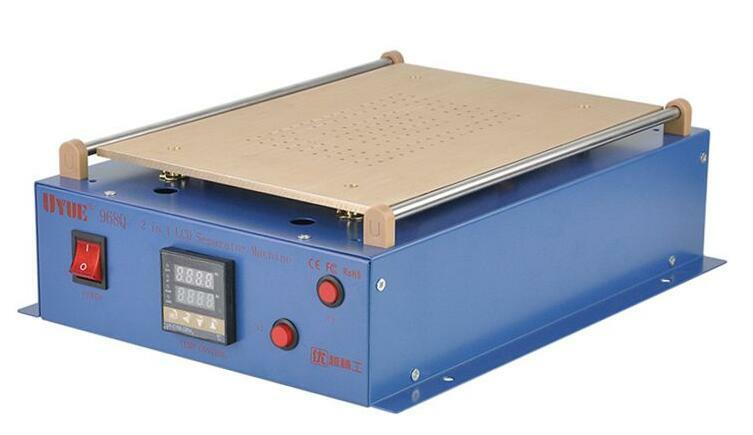 Step 3: Turn on the machine and wait for the metal plate become 80-100 degree. Step 4: Start to separate the LCD off the glass with cutting wire, then right and left movement with wire between the LCD and the glass, please notice that you must using gentle power and keep wire stay on the LCD surface, so that it will avoid the damage of touch screen. Step 5: Finally you have finished the separating work, and do a good job.